The SERRA Board meets on the fourth Wednesday of the month at 7:00 pm at Manor Road United Church (corner Manor Road and Forman Avenue), 2nd Floor. Note that meeting times, locations and dates are subject to change. Please email us in advance of a meeting at serra@southeglinton.ca to confirm meeting information. SERRA members in good standing are welcome to participate at Board meetings. Non-members may also be invited to participate in a meeting, but should contact us at serra@southeglinton.ca in advance. SERRA members provide the input the association needs to accurately represent the area’s concerns, the authority to speak with a strong voice, and the energy to tackle the many issues that face the South Eglinton area. If, in addition to lending your support through a membership with SERRA you are interested in a more active role within the association, please indicate the areas which interest you. Examples include, writing, research, urban development, traffic, Web site, legal, parks, property taxes, etc. Everyone has a skill or interest that SERRA can use. 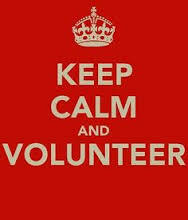 We frequently provide a Board member to mentor new volunteers. In addition to our current volunteers, we are searching for volunteers with experience and training in urban planning/design, architecture and construction management and those who have time to devote to the association. Our 2019 AGM will be on Tuesday April 30, 2019. Doors open at 6:00 p.m. The meeting will start at 7:00 p.m. and end at 9:00 p.m. Location: Greenwood College School, 443 Mt. Pleasant Rd. There will be guest speakers, light refreshments and information booths for attendees to browse before the start of the meeting. Our 2017 AGM at Greenwood College School was a great success. To read about the AGM click here. 2017 ANNUAL GENERAL MEETING Monday, May 8, 2017, 6-9 p.m. Greenwood College School, 443 Mt. Pleasant Rd. Welcome by Andy Gort, SERRA President and Chair for the 2016-2017 AGM. The meeting was called to order at 7:11 p.m.
Allan Hardy, Principal, Greenwood School spoke briefly to say the school was happy to host the AGM. Andy described the agenda for the meeting and the theme “Take Back Our Neighbourhood!”. Minutes of last year’s AGM were distributed to members at tables in the hall. The minutes had also been posted on the SERRA website. Motion to accept the minutes by Alistair Robinson, seconded by Elizabeth Ridler. CARRIED. Treasurer Paul Newbigging presented the Treasurer’s Report. Paul reviewed the various accounts and invited questions. (None received.) Paul noted that SERRA’s finances are run on a very lean basis and that all donations count. Motion to accept the accounts by Bob Hall, seconded by Diana White. CARRIED. Motion to elect all persons on the list to be members of the Board of Directors of SERRA in the year to come, by John Hiddema, seconded by Larry Nichols. CARRIED. SERRA President Andy Gort reported on SERRA’s accomplishments in 2016-2017, described plans for the upcoming year, and discussed the following issues. The nine information booths of the Development Fair, which took place in the Greenwood School hall immediately before the AGM, showed some of the issues that South Eglinton/Davisville is facing: High Rise Developments including 18 Brownlow, Ontario Municipal Board (OMB) Reform, Residential Infill Construction, Heritage, Green Initiatives, LEAF, Eglinton LRT, Midtown in Focus initiative, and Aviation Noise. SERRA Board member Lilly McIsaac organized extensive homemade refreshments during the Development Fair, a welcome innovation this year. During AGM discussions, references were often made to conversations at Development Fair booths, so it appears the Fair did contribute to informed discussion of issues. For the project at 18 Brownlow, community support is needed. SERRA needs to raise approximately $25,000 for a professional planner and a lawyer. Upcoming changes at the OMB will not affect current developments like 18 Brownlow. Josh Matlow contributed $200.00 to encourage others to donate at the AGM. – residential neighbourhoods group has been very active regarding infill housing. ·- SERRA takes the lead within FoNTRA on certain issues. There were 147 people in the hall, including volunteers and presenters.For future guidance, this is how people learned of the AGM. All three attendees also answered questions from the floor. The membership participated actively, indicating that the information provided was relevant and useful. The text of the minutes was finalized on April 5, 2018 for publication and distribution. Read here to learn more about this well-attended event! More than 150 people showed up to learn more about SERRA and the neighbourhood we cover: Read more here.Welcome by Andy Gort, President and Chair for the 2015-2016 Annual General Meeting (AGM). The meeting was called to order at 7:12 p.m. Attendance: 156 persons (members and guests). Prior to meeting opening, residents and members took part in development and community display stations, including Metrolinx. Motion: “That the Minutes of the 2015 Annual General Meeting of the South Eglinton Ratepayers’ and Residents’ Association be accepted”. Moved by Loo Russell, seconded by Drew Williamson. Carried. Mr. Gort told the meeting about the change in president through the previous year with Geoffrey Jones taking on the role of past president in December 2015 and Andy Gort assuming the role as interim president. There was a brief report from the Tall Homes Working Group, led by Mr. Al Kivi. SERRA has been to Committee of Adjustments (CoA) 25 times, and successful a number of times for appeals. An overview was provided of the Tall Buildings Working Group as well, highlighting a few key projects SERRA is working on. Introductions of and recognition for service and support of SERRA were given to the following people: Greg Russell, Margaret Walker, and to members of the working groups, including Ferris Virani, Jane Auster, and Al Kivi. A brief overview was provided to the audience regarding the Yonge-Eglinton Secondary Plan, including LRT, zoning, and planning. There was a brief discussion about the OMB and CoA. A list of priorities for SERRA in the current year was outlined and prioritized, with a new priority outlined with regard to the environment. SERRA will continue to educate residents, following a successful information night (chaired by Ferris Virani) on building issues. May 18 was announced as the date for a residents’ evening with SERRA to follow up on topics of interest among the SERRA community, with participation sought for those willing to participate in future information sessions. Last, it was noted there are ongoing relationships with other ratepayers’ associations, namely Leaside Property Owners’ Association (LPOA) and Sherwood Park Ratepayers’ Association (SPRA). Mr. Matlow spoke regarding transit and challenges related to planning and fiscal concerns, including improved direction by Mayor Tory and Chief Planner Keesmaat. Other transit areas of note included the Downtown Relief Line and a reformed version of Smart Track. The noise bylaw will be before council in May with a reworked proposal. Councillor Matlow has been appointed as the Seniors’ Advocate by Mayor Tory to develop a seniors’ strategy. Mention of the (Appletree) Farmers’ Market returning to Davisville/June Rowlands park, Metrolinx project being respectful of residents, 18 Brownlow development concerns, BIA streetscape planning, OMB/CoA, and LAB planning issues and dynamics. Status of Local Appeals Board (LAB), Eglinton Connects funding – 40% approved per plan; includes Council approval and Section 37 funds. Development objectives vs. transit vs. density raised as a topic. Mid-rise intentions along streets designated as “Avenues”. Discussion around abandoned and derelict properties, including multiple city service co-ordination to deal with areas of mental health and hoarding – numerous cases are present across the city, including cases on Manor Rd., and special efforts by Councillor Matlow to protect the affected resident. Traffic signals at Soudan and Mt. Pleasant under review for timing due to proximity of Britton House seniors’ facility. All current members of the board (with the exception of Margaret Walker and Greg Russell) are planning to return as follows: Geoffrey Jones, Jane Auster, Charles Iscove, Paul Newbigging, Dale Mathews, Al Kivi, Andy Gort, Nandy Heule. Motion “To dissolve the current Board, in preparation for the formation of a new Board and Executive”. Moved by Greg Russell, seconded by Loo Russell. Carried. SERRA members were invited to volunteer on the board for one year on the new board. One volunteer, Matias Valente, currently a Board member of QuORA – the residents’ association for the Quantum Towers, 2191 Yonge St.
A question of conflict of interest was raised with respect to Mr Valente. Andy Gort spoke on this issue, and remarked that the proposed board member’s home is part of the fabric of SERRA, with the only difference being the format of the person’s home. Condominium owners have equal stake in the community. No further objections/concerns were raised. Motion “To accept the persons just listed to be Members of the Board of Directors of SERRA for 2016-2017”. Moved by Jane Auster, seconded by Katherine Hancock. Carried. Motion “To accept Matias Valente to join the SERRA Board of Directors for 2016-2017”. Moved by Drew Williamson, seconded by Diana White. Carried. The Chair thanked members, guest speakers and other guests for attending the Annual General Meeting. Motion to close the meeting was made by Pat Hancock, seconded by Diana White. Carried. The meeting was adjourned at 8:30 p.m. on April 20, 2016. 1. Welcome by Geoffrey Jones, President and Chair for the 2014-2015 Annual General Meeting (AGM). The meeting was called to order at 7:03 p.m. Attendance: 109 persons (members and guests). The church hall will be sold to the City of Toronto for a park. The church itself will remain. Geoffrey Jones, President; Andy Gort, Vice President; Patrick Cerullo, Director; Margaret Walker, Director; Jane Auster, Membership Secretary; Greg Russell, Past President; Paul Newbigging, Secretary-Treasurer (not present at the meeting); Charles Iscove, Media and Web Master; Al Kivi, Chair, SERRA Tall Replacement Homes Working Group (not a member of the Board). Motion “That the Minutes of the 2014 Annual General Meeting of the South Eglinton Ratepayers’ and Residents’ Association be accepted”. Moved by Drew Williamson. Seconded by Angela Fusco. Carried. Article 1: Name and Objects – Replace the word “will” with the word “shall”. Article 2: Head Office – Remove the words “in the Municipality of Metropolitan Toronto”. Article 10: Notice – Add the following words as new subsection 4: “sent by email to the email address as recorded in the Corporation’s records”. Delete the word “monthly” from the existing subsection 4 and renumber this existing subsection 4 as subsection 5. Add the following wording as new subsection 6: “posted on the home page of Corporation’s website”. Article 12: Amendments – Replace the words “the Secretary of the Corporation is to provide an up-to-date mailing list to such member to enable such member to comply with the requirements herein” with the words “the member is to provide the Secretary with such amendment with 14 business days notice and the Secretary is to provide proper notice (at least seven business days) to all members.” Moved by Andy Gort; seconded by Margaret Walker. Carried. Motion “That the 2014-2015 Treasurer’s Report of the South Eglinton Ratepayers’ and Residents’ Association be accepted.” Moved by Greg Russell; seconded by Linda Wallace. Carried. It was requested that SERRA investigate receiving electronic bank statements to save money. Mr. Matlow spoke regarding parks projects, a rebuilt ice rink at Hodgson School, and the farmers market in June Rowlands Park. In 2014, he was successful reducing the height of the Art Shoppe condo project. He opposes the condo project at 33 Holly and 44 Dunfield. The project at 11 Lillian does not include enough green space or appropriate transition. At 45 Dunfield, Mr. Matlow wants more park space and a daycare facility. The proposed 9 storey condo on Bayview at Soudan is out of character with the neighbourhood. Mr. Matlow wants Council to lower local speed limits from 40 to 30 kph. He is working with SERRA on tall replacement houses and sponsored a planning study to improve success on this issue. He is actively advocating regarding air traffic noise. Mr. Matlow is working with the City to acquire the Glebe Manor Lawn Bowling Club property as a park. – President Geoffrey Jones said the issues facing SERRA are similar to those which led to SERRA’s creation 50 years ago: a perfect storm of new large buildings and homes. A list of achievements will be posted on the SERRA website. SERRA has had losses at the OMB because of the cost of lawyers and planners, so SERRA needs donations. – Al Kivi, Chair, Tall Replacement Homes Working Group, said the WG has learned about the OMB and can now effectively help members. A sign up sheet for showing interest for a separate meeting was circulated. – Vice-President Andy Gort said the SERRA team is starting a working group for tall and midrise projects. Both volunteers and donations are welcome. His display regarding local projects excited great interest. Noise and safety issues at construction sites, including impassible sidewalks, led to this motion, “That SERRA investigate ways of requiring contractors to ensure the safety of pedestrians and neighbours during construction and to limit noise”. Moved by Richard Worzel and seconded by Drew Williamson. Carried. Josh Matlow said people should send him pictures of hazards. • Motion “to dissolve the current Board, in preparation for the formation of a new Board and Executive”. Moved by Janelle Withers, seconded by Vera Kan. Carried. • SERRA members were invited to volunteer for a one year term on the new Board. Geoffrey Jones, Andy Gort, Greg Russell, Jane Auster, and Margaret Walker agreed to serve for a one year term until the AGM in 2016. Paul Newbigging, who was travelling outside Canada, had also previously indicated his willingness to serve again. • Motion “to accept the persons just listed to be Members of the Board of Directors of SERRA for 2015-2016”. Moved by Al Kivi, seconded by Shelley Laskin. Carried. Ms. Laskin distributed a report regarding the need for new school capacity, also available on her website. We may see public meetings on this. The government has set up an expert panel chaired by Barbara Hall. Patrick Cerullo introduced Metrolinx Director of Community Relations and Communications Jamie Robinson, who made a presentation about the Eglinton Crosstown LRT project. The project is on time and within budget, with completion expected at the end of 2020. During construction, at least one traffic lane will be kept open on Eglinton in each direction. Concerns were raised about train noise and possible underground water problems. The response was that both issues are minor and under control. Bus schedules after project completion have not yet been decided. The Chair thanked members, guest speakers and other guests for attending the Annual General Meeting. He asked for a show of hands regarding preferred meeting timing. Two-hour meetings on a weeknight are preferred. Motion to close the meeting was made by Richard Wozel, seconded by Drew Williamson. Carried. The meeting was adjourned at 9:12 p.m. on April 23, 2015. It was explained that the minutes are not intended to record everything said. They record decisions and can also list subjects discussed. It was requested from the floor and agreed to add an additional note regarding discussion of the Greenwood School expansion at the 2013 AGM. Motion “That the Minutes of the 2013 Annual General Meeting of the South Eglinton Ratepayers’ and Residents’ Association (SERRA) be accepted.” Moved by Stephanie Hatcher. Seconded by Natalie Cerullo. Carried. Manor Road United Church (MRUC) Redevelopment Working Group presentation. Mr Neil Jacobi, Chair of the MRUC Redevelopment Working Group, made a presentation regarding the different options the church is considering to downsize its property and expenses. Mr Greg Russell, President, reported the following activities during the year 2013-2014. SERRA has improved its website and begun using PayPal for membership payments. Art Shoppe OMB Mediation hearing in June, 2014 – SERRA seeks changes to project. Development pressures (including transit, traffic, schools) – monitor projects, oppose if needed. Aviation noise – cooperate with other residents associations and TANG. Membership Secretary Jane Auster reported that membership had risen to 62 persons. There was a lively discussion about membership issues. In compliance with SERRA By-Laws, the current Board stood down. Motion to dissolve the current Board, in preparation for the formation of a new Board and Executive, moved by Patrick Cerullo, seconded by Jane Auster. Carried. SERRA members were invited to volunteer for a one year term on the new Board. Geoffrey Jones, Patrick Cerullo, Jane Auster, Greg Russell and Margaret Walker agreed to stand again and serve for a one year term, until the next AGM in 2015. Paul Newbigging, who was travelling outside Canada, had also previously indicated to Mr. Russell his willingness to serve again. Motion to accept the six persons listed above to be Members of the Board of Directors of SERRA for 2014-2015. Moved by Josh Matlow, seconded by Natalie Cerullo. Carried. The Chairman introduced City of Toronto Councillor Josh Matlow, who spoke on the issues facing our city. Local issues included OMB mediation regarding the Art Shoppe condo towers, just south of the Yonge-Eglinton Urban Growth Centre. City planners want Yonge Street south of the growth centre to have a “Parisian model” of moderate midrise buildings instead of tall towers. Public realm improvements should include more parks, including one near the Yonge-Eglinton intersection, on the former TTC lands. The condo project at 33 Holly-44 Dunfield does not include an appropriate transition to the single-family dwellings beside it. The patio of the Wild Wing Restaurant at Bayview and Millwood has been opposed by nearby residents. The Bazis condo project on the north-east corner of Yonge Eglinton is supported by neighbouring residents associations and lies within the urban growth centre, which are points in its favour. The Davisville School redevelopment was to include a condo tower. Mr Matlow is reluctant to see this project set a precedent at this “Neighbourhoods” location. A lively question and answer period followed, with many questions about the Toronto Hydro problems during the Christmas ice storm. Toronto Police Service, 53 Division, Staff Sergeant Matt Moyer, Community Response Unit. Mount Pleasant Village Business Improvement Area (BIA), Kathleen Mackintosh, Administrator. Greenwood School, John Southwood, Consultant. The Chairman thanked the guest speakers, members, and other guests for attending the Annual General Meeting. He urged members to continue to support SERRA actively during the coming year. Motion to close the meeting was made by Greg Russell and seconded by Patrick Cerullo. Carried. The meeting was adjourned at 9:20 p.m. on May 14, 2014. These 2014 AGM minutes were approved at the AGM on April 23, 2015.